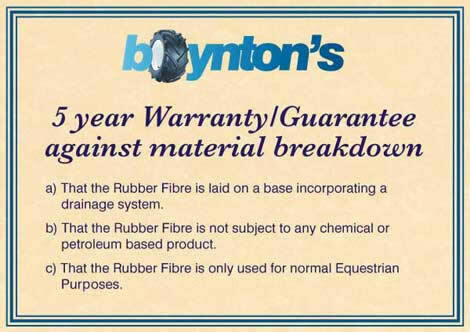 Boyntons holds the only original patent license for equine rubber arenas. The patent was created by arena specialists who researched and trialled the optimum size of rubber chip for..
..and better ability to sit on top of the sand due to its size. This high level of ‘spring’ for the horse results in less injury and more enhanced movement. In the late 1990’s, the equine sector became an industry that was targeted by inferior rubber, following the government's proposed landfill ban on car and truck tyres in 2003. No patents were adhered to and a flood of low quality cheap rubber hit the market. For many years Boyntons have been the supplier to many leading arena builders. 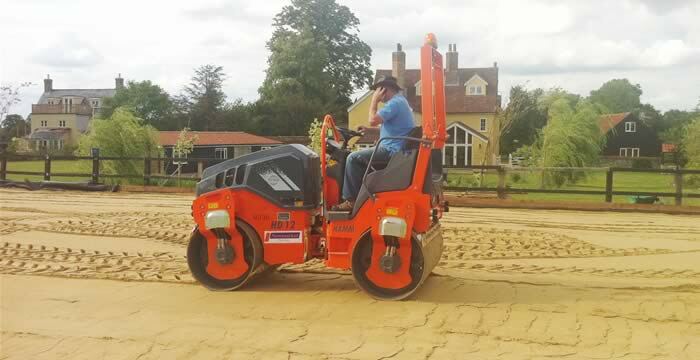 Once the groundworks for the arena on the desired location have been established to create suitable drainage the surface can be laid. Although it is not always necessary to use a top grade silica sand, a clean spine free sand is required. A quality tip test. Put the sand into a glass and shake it with the water. Leave it to settle overnight. The sediment at the top of the glass will give you an indication to the suitability to the use in your arena. The less the sediment the better the quality for not blocking your drainage pipes. Lay 4 inches of sand evenly over the membrane. The sand must be wet, as the beach as the tide goes out. It needs rollering to compact to create a base for the rubber top. Boyntons rubber is manufactured in such a way as to enable the surface of the sand, not to mix in, to give spring. Not other rubber can do this as it sinks and mixes loosing the benefit of the rubber surface. 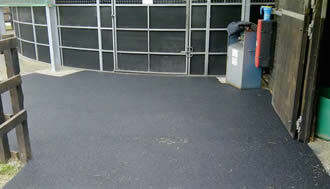 The rubber is then ready to be applied as a final finising layer. This should be levelled with an old gate and simply roll the rubber around the top of the sand. 2 inches of rubber is required to the surface to ride well not deep. 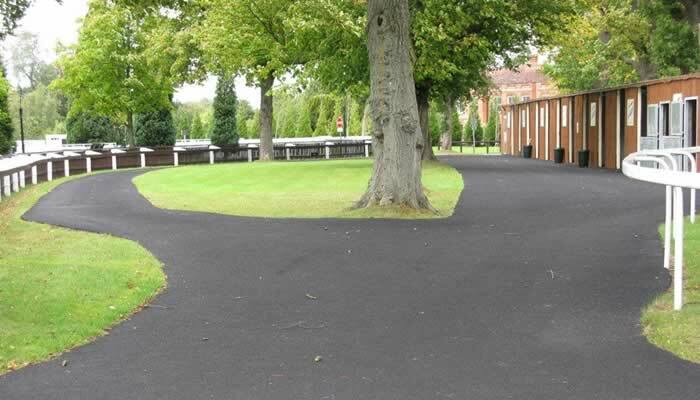 Installation is carried out by Trackpath Limited in association with Wychwood Play Surfaces Ltd who can be contacted on 01934 713039 or 07580337837. 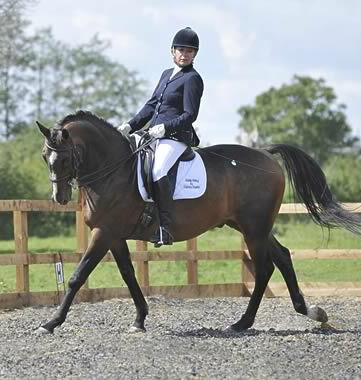 "I have chosen a Boyntons rubber top dressing because of the added spring that I wanted for my dressage horses. I live close to Boyntons so knew about their superior products before most people. 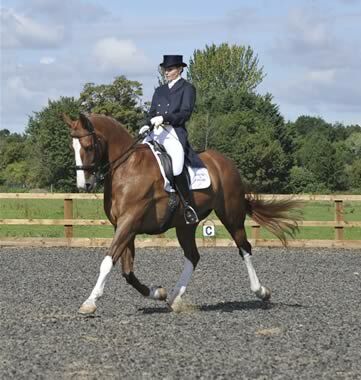 I can not recommend their products highly enough - I just LOVE my arena." "John Bowen trains many people on my arena and we all love it. It rides well in dry summers and does not get too deep. In fact there are at least 5 people who have ridden on my arena who have also bought Boyntons, I am thrilled more people are now going to get to find out about this superior rubber surface." "I trained on Diana Grant's arena and without hesitation chose the same surface for my arena that I have just built at home for my family to ride on." "I have trained Diana Grant and many others on a Boyntons surface. I can honestly say that out of the hundreds of arenas I train on each year that this surface performs all year round." My first contact with Boynton Bros was with Mrs Boynton who knew her products well. Two large samples arrived within days, enough to cover a square foot at 2.5” deep. I was pleased to see large, clean chunks of rubber (no wire). Samples from other companies, car tyres with loads of fibre and some wire were not a patch on the Premier Mix from Boynton Bros.